In case you missed it, the iPhone 6 and 6 Plus was launched on Friday, with a queue snaking at Epicenter, and every other Apple store around the world. The iPhone 6 Plus received higher demand compared to the iPhone 6. While it has sold out at the Apple stores, we explore 6 other ways (and the price) that you can get the latest tech gadget in town. Are you willing to pay? Pretty sure at least 30% of the snaking queue came from avid Carousell users. A man who bought a 64GB gold-coloured iPhone 6 from Nubox at Raffles City was reportedly trying to sell it at the back of the massive queue of more than 100 people for $1,600. This is $452 higher than the actual price. 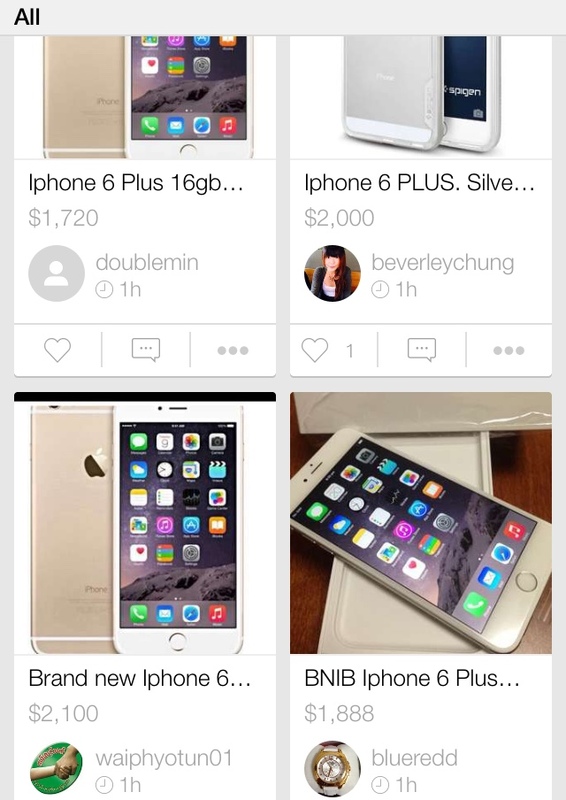 On Carousell, $2000 for an iPhone 6 Plus seems to be the market price. 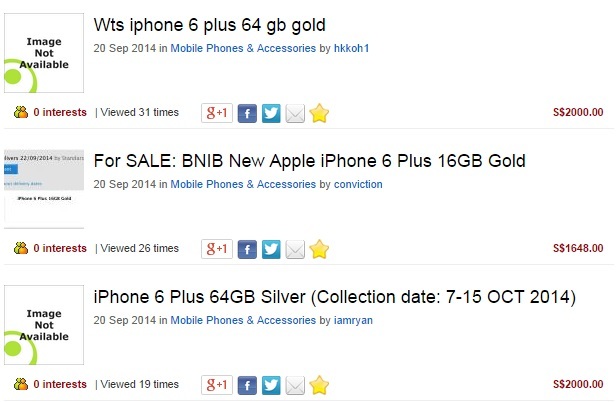 Pretty dramatic on eBay as well, the iPhones are going at black market rates. 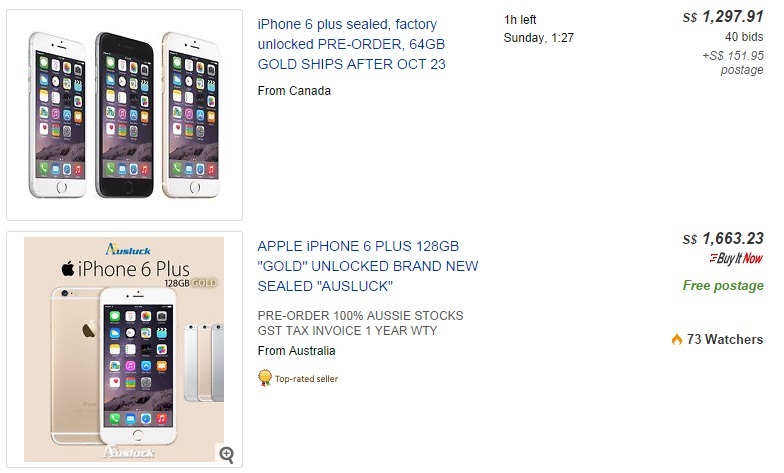 Interested buyers for the iPhones on eBay need to beware though, as some of these phones may be fixed to the country’s setting and may be a tough nut to configure. iPhone 6 is still available at several outlets subjected to colour and storage, but iPhone 6 Plus is completely out of stock. Unlike other telcos, Starhub is the only one that allows you to purchase the SIM-only plans, where there will be no contracts to getting your latest iPhone. Cheapest amongst the telcos but do find out what that might entails! Singtel stores allow you to express interest on the iPhone during walk-ins, on a first come first serve basis. You can only get your phones on 20 September if you had it reserved and confirmed prior to its official release. The contracts are 2 years, and to terminate a contract before it ends, you have to pay $350 to have it voided. If you are holding onto an iPhone 5S under the 2 year contract due next year, your new iPhone 6 Plus (128 GB) will cost you $1408, close to the actual retail price! 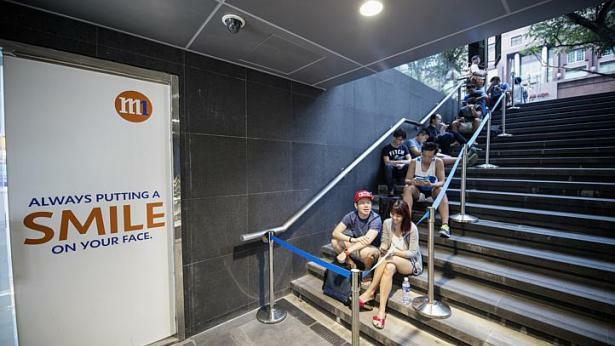 At M1, iPhone 6 will be made available to walk-in customers, while stocks last. 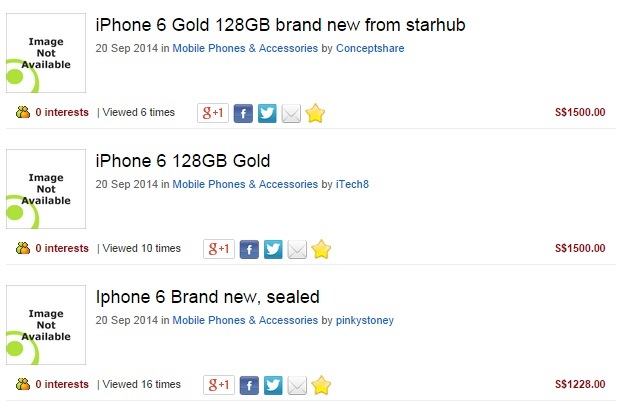 The iPhone 6 Plus is currently out of stock. M1 contracts for iPhones are 2 years. The prices are also steeper as compared to the other 2 telcos. It is a case of cost-benefit analysis. Another outlet for those to resell their iPhones, the black market rate also starts around $2000. It is an insane price for a new phone, but this just shows the brilliance of Apple’s marketing once again.